Memes such as the one below are starting to appear on Facebook and as may be expected are intended to scare seniors. 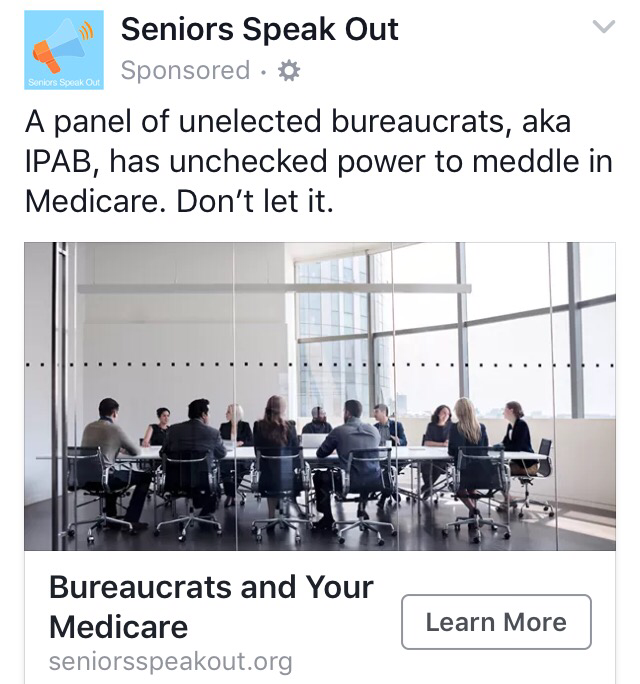 The facts are: No members to the IPAB have been named and Medicare costs have not risen to the point where action by the IPAB is triggered. The IPAB cannot make recommendations that: reduce benefits, increase premiums or increase taxes. In addition, any recommendations can be overridden by Congress before they take affect. Should the IPAB make recommendations in the future (assuming it remains the law), they will have to do with payment processes to health care providers.